Thierry Henry has been appointed as the new Monaco head coach, replacing Leonardo Jardim, who was sacked earlier this week. The 41-year-old has signed a three-year deal with the Ligue 1 side, and will be joined by Benfica U23 coach Joao Carlos Valado Tralhao and Arsenal academy coach Patrick Kwame Ampadu - who is the father of Chelsea's Ethan Ampadu. Following his appointment, Henry posted a statement on Instagram that read: "It is with great pride that I am delighted to announce that I have accepted the position to become the manager of AS Monaco FC. I was fortunate to receive some very attractive offers over the last few months but Monaco will always be close to my heart. Having started my footballing career with this great club, it seems like fate that I will now begin my managerial career here too. 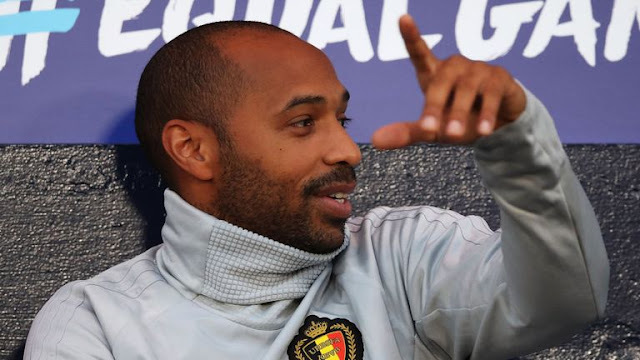 Henry also confirmed he will be leaving his role as a member of Roberto Martinez's backroom staff with Belgium, adding: "It's with great sadness that I must say goodbye to the Belgium national team.